You have to be dead not to dig this book. That's right. Dead. What you see before you is one of the most incredible mixes of crime, action, and the supernatural that you can ever lay claim to reading. To say that this is the best example of how cross genre writing should be done would be an understatement. Between Greg Lamberson and Mike Oliveri - the bar has been set. The above synopsis does not do justice to this book whatsoever. It doesn't even hint at the intensity that Oliveri has produced throughout this story. Every action sequence and plot point in the story where we find the characters planning their next move, is coated in massive amounts of tension and suspense. It's this style that drives the book along, making it something of a quick and exciting read, but also supremely satisfying in the end. The characters in this novel are tight and more or less not people that you can identify with. That being said, I'm going to go further out there and say that they're more like those that you wish you could be (assuming that everyone has an action filled fantasy or two in their head). Every single one of the characters is written in a larger than life way that is reminiscent of the greatest comic book styles. This was a welcome break, for me, in that they're not something I had to get too attached to - giving me more time to focus on the masterful storytelling that was taking place. The characters blended into the scenes so well that everything - the whole plot, characters, dialogue and settings - all kind of melded into one another, creating one giant, adventurous, literary version of an excited whoop, that you'll ever read. It should also be said that The Pack: Winter Kill has crime novel written all over its core, but the reader would be mistaken to judge it on that alone. When the book reaches it rollicking crescendo, the author brings out the gore like nobody's business. Oliveri has an incredible talent for setting up scenes that are not only satisfying, but are also emotionally charged, in that you're sitting at the edge of your seat waiting for everything to play out. It's then that he brings out the big guns and gives you exactly what you came for - be it a terrific scene featuring police and procedure, the supernatural eeriness of a winter landscape, or an all-out gorefest at the hands of a terrifyingly powerful werewolf. Whatever your want, I'm pretty sure that this book has you covered. Make sure you check this book out. It is one of the most satifying reads I've had lately. 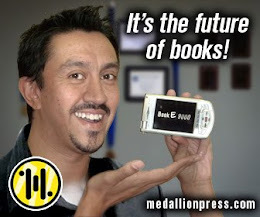 Also, look more news about The Pack and the impending series of graphic novels and prose novels to come, at Mike Oliveri's website - The Malice Engine. You can also contact him on Twitter and on his message board which is hosted at The Keenedom (registration required). 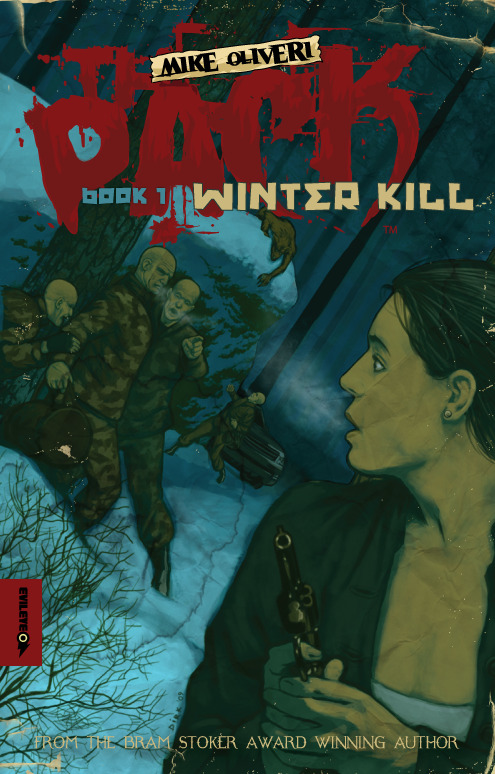 Check the Giveaways page in the next couple of weeks, here at Paperback Horror, for information as to how you can win one of 2 copies of The Pack: Winter Kill in trade paperback format.